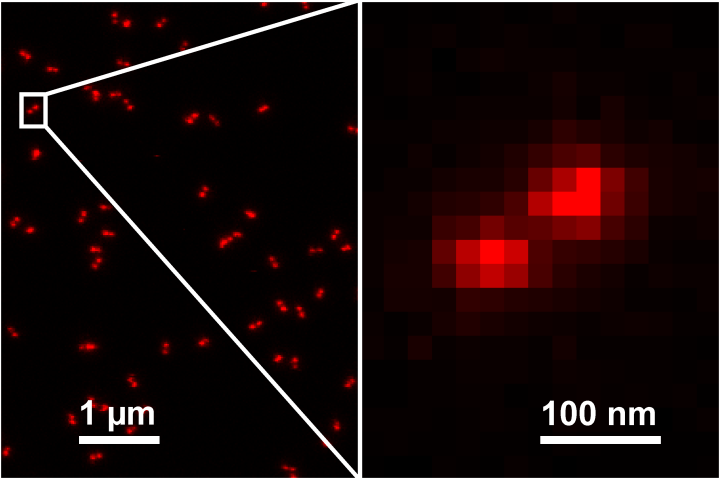 Being the first super-resolution microscopy technique the STED method revolutionized the light microscopy. With the nanorulers from the GATTA-STED series adequate calibration probes are finally available. The nanorulers carry two fluorescent marks out of dense arrangements of the high quantum yield dye Atto647N. We offer the mark-to-mark distances in the sizes 27 nm, 44 nm, 71 nm and 90 nm. On request we can design special solutions for your specific requirements. All nanoruler probes will be delivered on a sealed glass slide which you can comfortably put directly on your microscope. The GATTAquant GmbH, founded in September 2014 in Braunschweig, is a spin-off company of the Technical University of Braunschweig in the field of super-resolution imaging. The company puts the focus on probes for fast, easy and precise quantification of super-resolution systems. GATTAquant nanorulers allow a fast, easy and precise determination of resolution values in any common super-resolution system (STED, SIM, GSD, dSTORM, Blink microscopy, DNA-PAINT). On the one hand the instantaneous visible, significant result makes it easy for users to proof their microscope’s resolution and on the other hand provides an opportunity for microscope manufacturers to demonstrate the performance of their products in an eye-catching way. 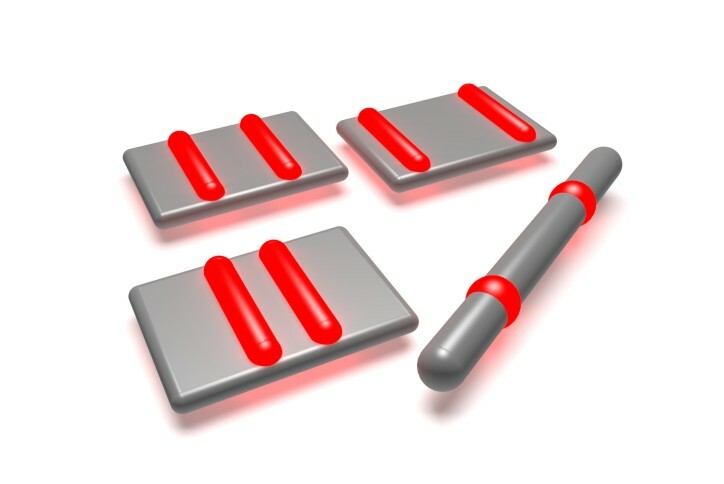 These probes allow you to check the resolution of your microscope with a precision of a few nanometers. This level of precision is reached by using special nanostructures (so called DNA origami structures) as breadboards for placing single dye molecules in an exactly defined pattern. To ensure an optimized gain as well as a maximal performance of the probe, we design our products individually according to your wishes, requests and intentions.